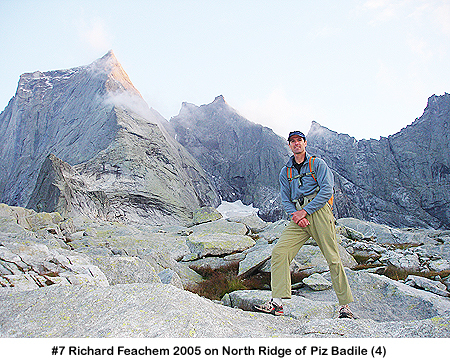 Photo #1: This was a quick trip for Richard. He is extremely busy as the Executive Director of the Global Fund, a non-profit with the sole mission to eradicate AIDS, Tuberculosis and Malaria in developing countries. 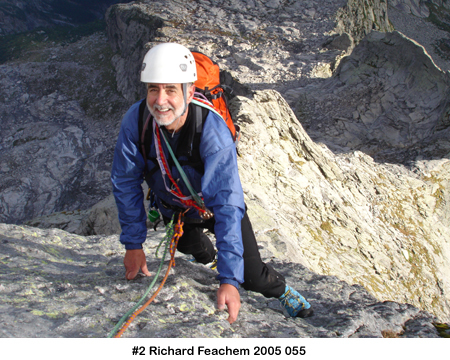 My claim to fame is Richard once canceled a meeting with Kofi Annan to climb with me. 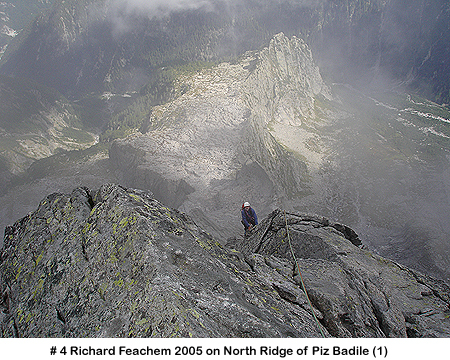 Richard lives in Geneva and made this climb after his annual hiking trip with friends that he organizes. 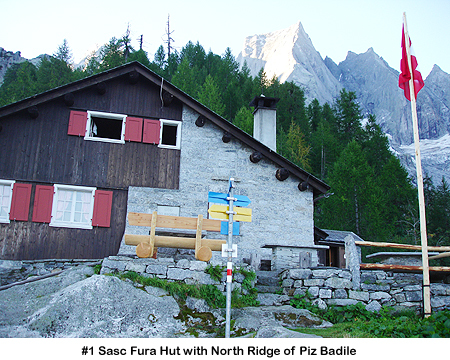 The first day we hiked up to the Sasc Fura hut and relaxed a bit before our early morning departure. Photo #2: Early on the route we had clear fall weather, not too cold, and beautiful granite. 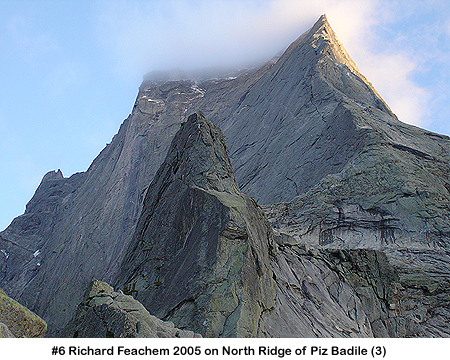 The route is about 25 pitches and no harder than a few moves of 5.7. Photo #3: The fog came in but the climbing continued to be excellent. Photo #5: The position was really exciting. You really climbed directly up the edge of the ridge almost the whole way. Photo #6: We reached the top in the fog and started rappelling our route immediately to avoid getting caught in the dark. We reached the base of the route well before dark and had this view of our peak. Photo #7: I am standing in front of the North Ridge tired and happy. 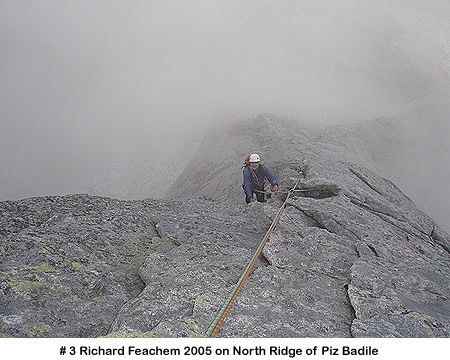 There are so many other aesthetic granite climbs to do here in the Bernina and Bregaglia region of Switzerland .